DAVID A. KAPLAN is the former legal affairs editor of Newsweek, where he covered the Court for a decade. His other books include The Silicon Boys (a New York Times bestseller that was translated into six languages), The Accidental President (an account of the 2000 election on which HBO’s Recount was partially based), and Mine’s Bigger (a biography of the largest sailboat in the world that won the Loeb Award for Best Business Book of 2008). A graduate of Cornell and the New York University School of Law, he teaches courses in journalism and ethics at NYU. He and his family live in Irvington-on-Hudson, New York. 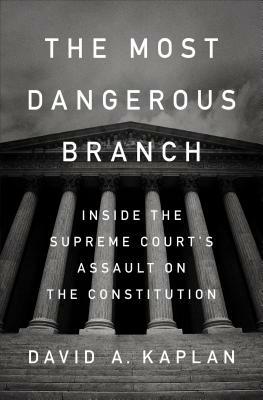 “A fascinating look at the Court during one of its most important, and divisive, eras... a perfect primer for helping Americans understand how members of the court came to justify their excessive involvement in various controversial issues"